Oooooliver Cromwell, Lord Protector of England (Puritan). Born in 1599 died in 1658 (September). Yes, thanks to Monty Python, I know a bit about the English Civil War of 1642 to 1646 (it's actually helped me out on a History test before). 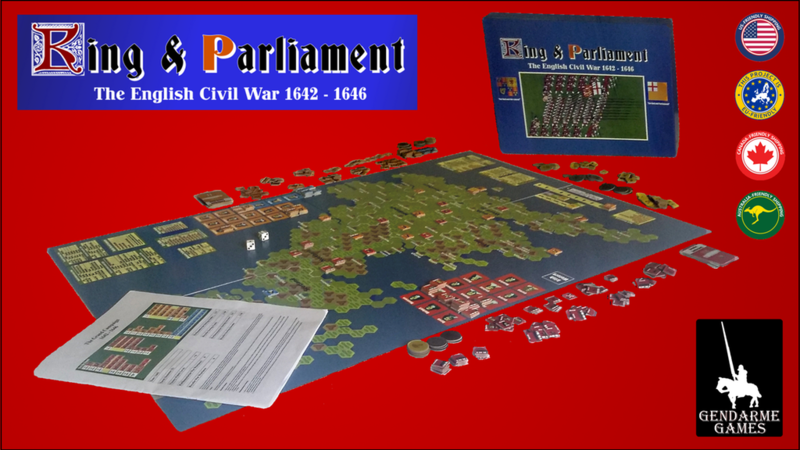 Well, now I can put that information to use in King & Parliament, a new strategic board game that's up on Kickstarter all about the events of those fateful years. The game lets you take the side of either King Charles I or the Parliament forces as your armies fight for control of the island nation. There's tiles representing all the different types of units that would've been part of those forces, including Northern Horse, Cornish Foot, Highlanders, and Hasselrigg's cuirassiers. Use your money wisely in order to get these units (and more) to ensure that you're the one sitting on the throne at the end of the game.